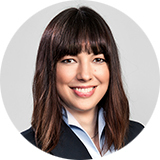 Gabriele Wohlgemuth has many years of experience in the human resources consulting industry as well as in sales related positions. At Iventa, the graduate psychologist supervised clients in the course of national search mandates at management and specialist level prior to her maternity leave. She currently supports the marketing & sales team on a part-time basis, specialising in human resource and organisational development projects.